especially to democracies as against despots. rifle with a telescopic sight." 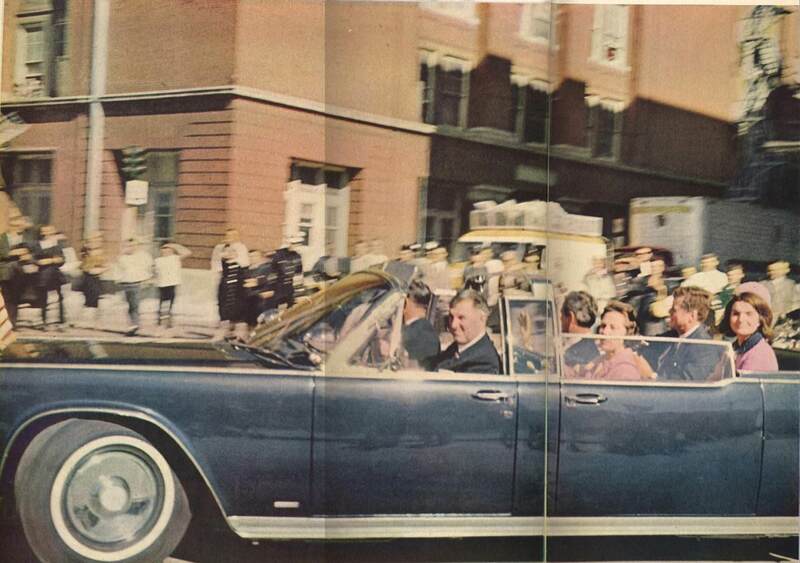 enters Dealey Plaza . . . . The “PIGEON” unseen outside, is holding in his roost , and will be shadowed~~after~~painting is completed. 'Eyes' spot on, and players center target. 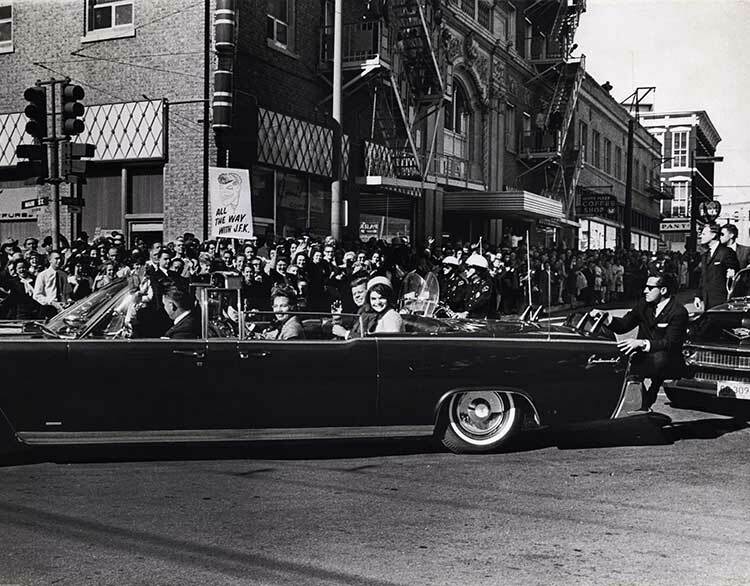 Because of two limousine stops that President Kennedy requested so that he could personally shake hands and thank persons along the murder-cade route, and, due to the very large number of Dallas crowds all along the route, he enters the Dealey Plaza kill zone 4 minutes behind the schedules that the Dallas newspapers had publicly-printed. farthest east open window frame, (precisely 84’ away from the rifle-armed Latin seen in the west open window). 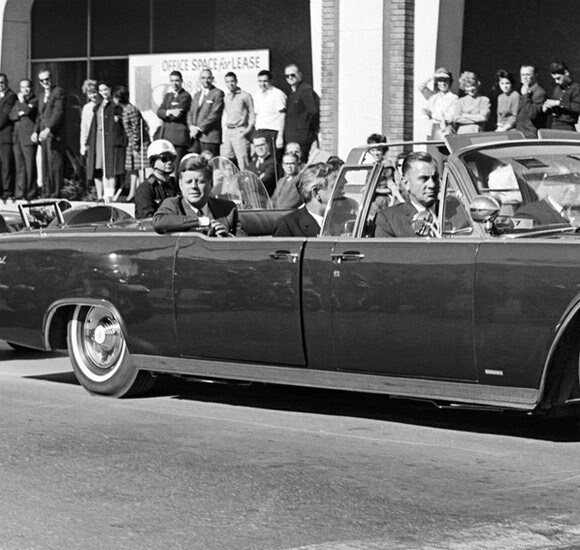 nor was he staring southward at President Kennedy’s Dealey Plaza entrance point. 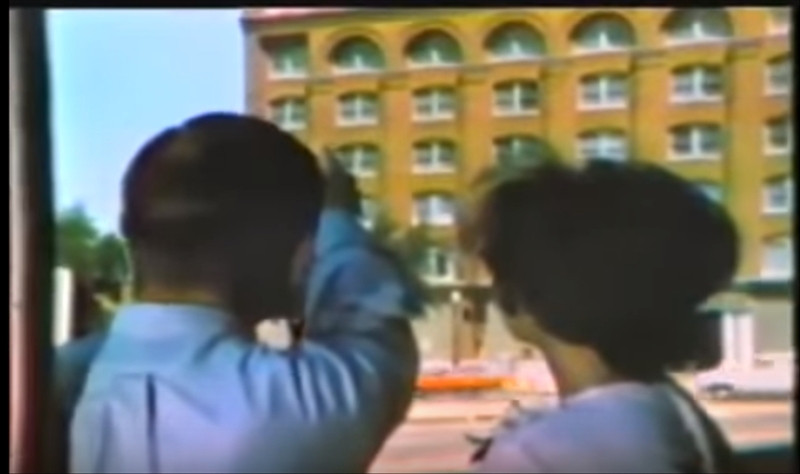 towards the grassy knoll . . . .
was also never assigned to be on the grassy knoll. . . .
before and after the shots, and, possibly photographed and filmed. . . .
the Texas School Book Depository. " 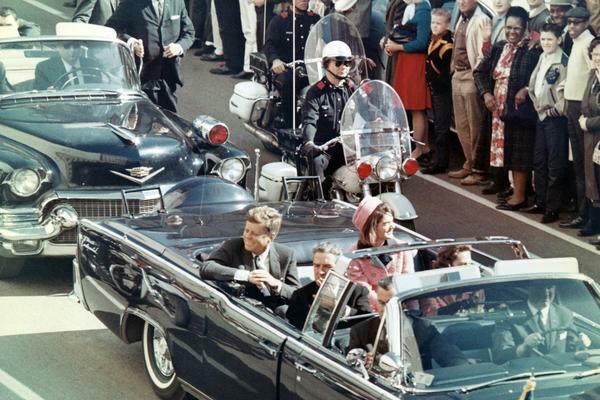 hand gun employing assassin to kill a moving target . . . .
will intersect and kill the target . . . .
“lone-nut” “snipers lair” window that was differently located two floors above and 90-degrees to her direct far-left. Target "LUCIFER"~now~trapped-inside~our~ one-way street canyon~ULTIMATE ONE. All players now~ 'GREEN' ~for~KAPPA . 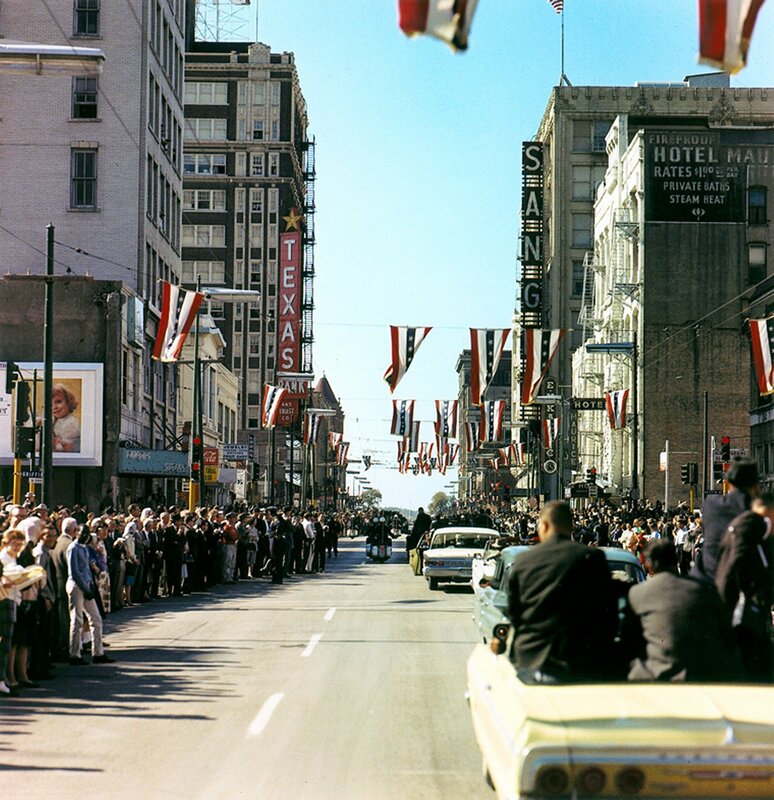 EMIL ABRAHAM ZAPRUDER was the only photographer to capture the entire assassination. 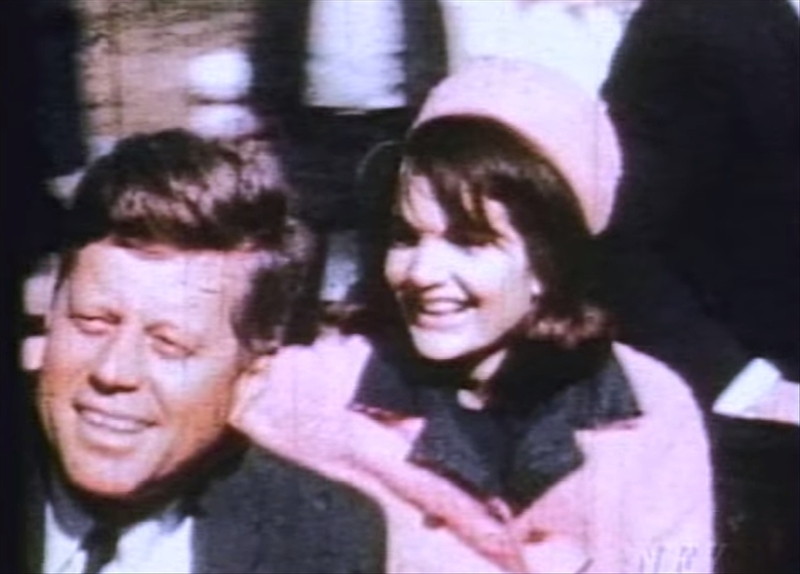 (other witnesses filmed portions during the volley's of shots) Mr. ZAPRUDER recorded his film with his “Bell & Howell” manufactured “Director Series” movie camera, Model 414PD (Power Zoom/Duel Electric Eye), equipped with a “Varamat” ‘Zoomatic’ F1.8 focal length, variable 9mm to 27mm zoom lens. (His camera’s serial number is AS13486) I have two available for you. 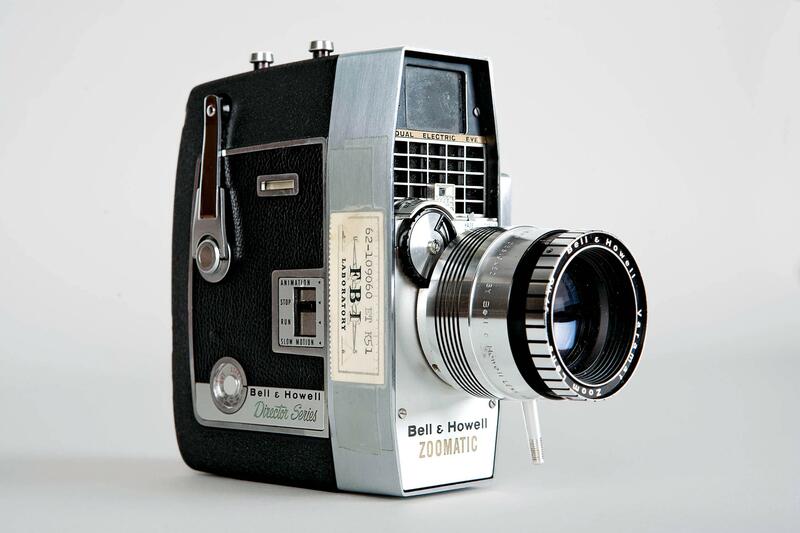 Each is in gem mint to outstanding quality and operational condition and complete with the original leather carrying case and full operating instructions manual (one of them even includes a gem mint, un-opened pack of the exact same type Kodachrome II film that Mr. ZAPRUDER also used on 11-22-63). 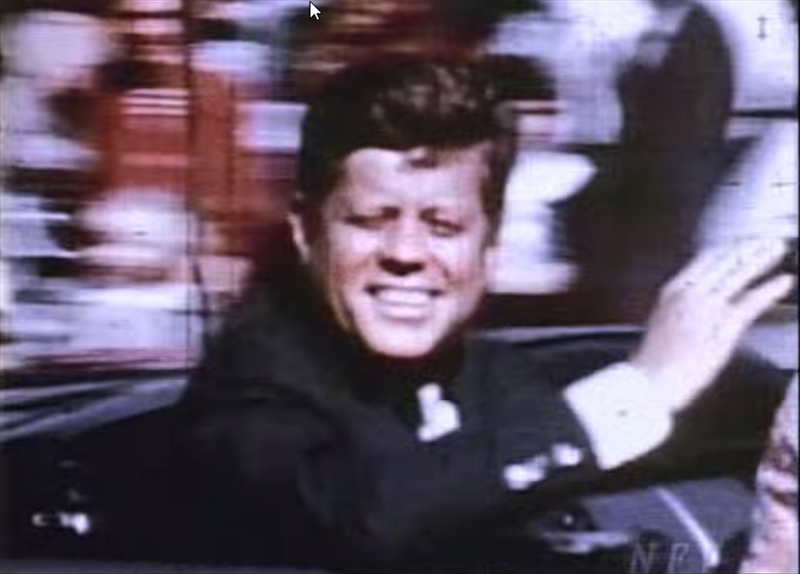 While he filmed the assassination Mr. ZAPRUDER had his zoom lens set to full close-up. 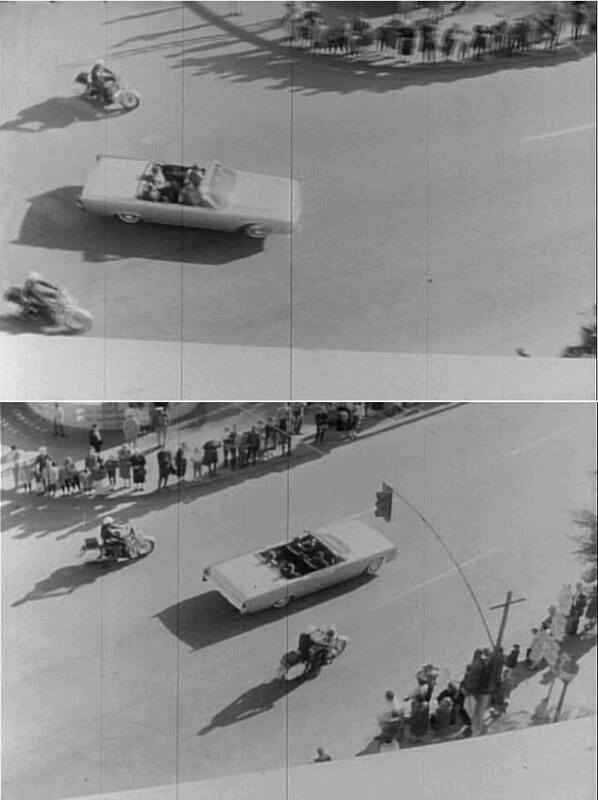 His camera was spool-loaded with the double 8mm film, and approximately 25 to 28 feet could continuously be exposed at a time. The F.B.I. 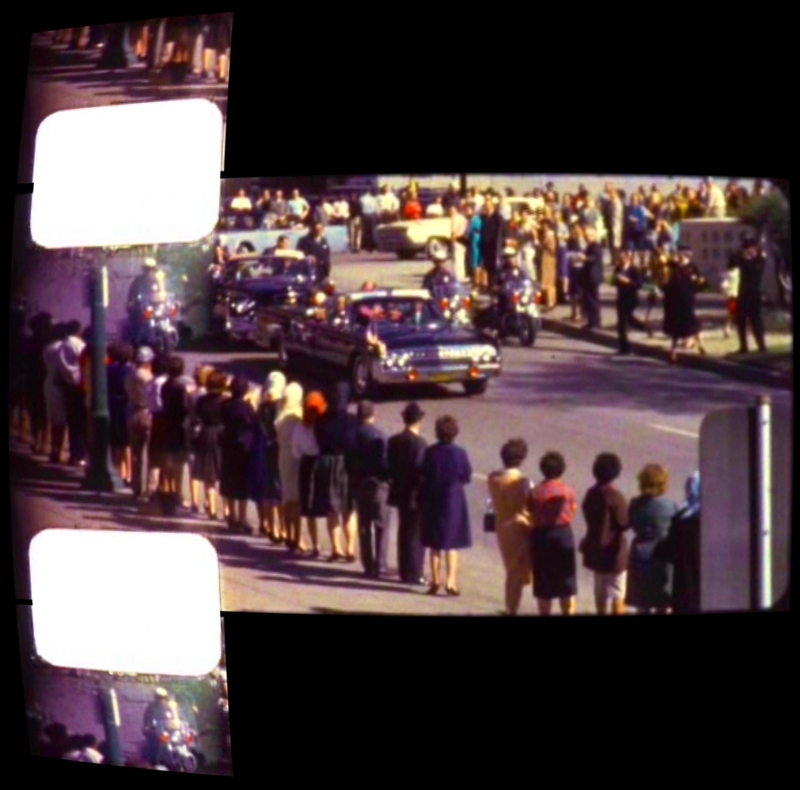 later tested Mr. ZAPRUDER’s camera with its “Record” spring-powered film-advance mechanism started at fully-wound. 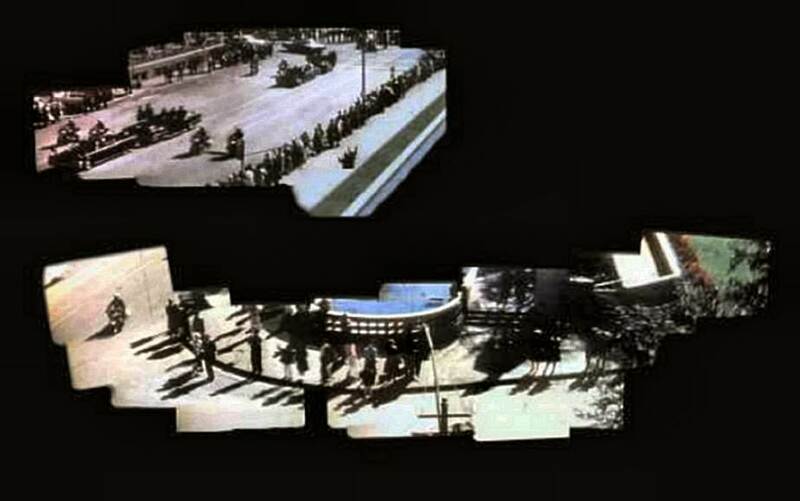 As the spring mechanism un-wound, the film moved at an average speed of 18.3 frames-per-second. 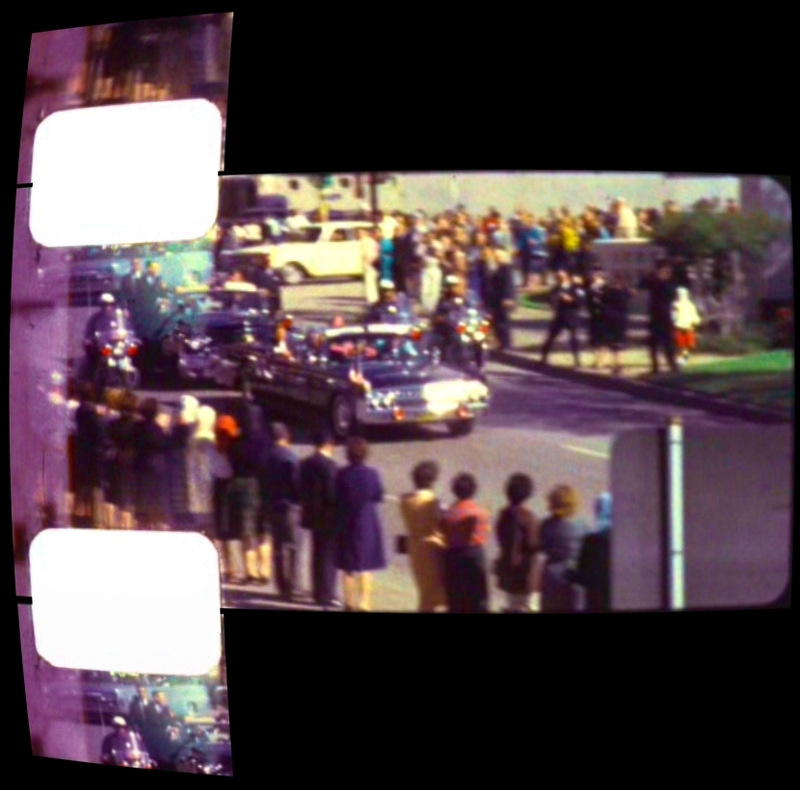 In that respect, an individual ZAPRUDER frame can also be a determinative clock for us to precisely time stamp the starting and stopping instant of an event. 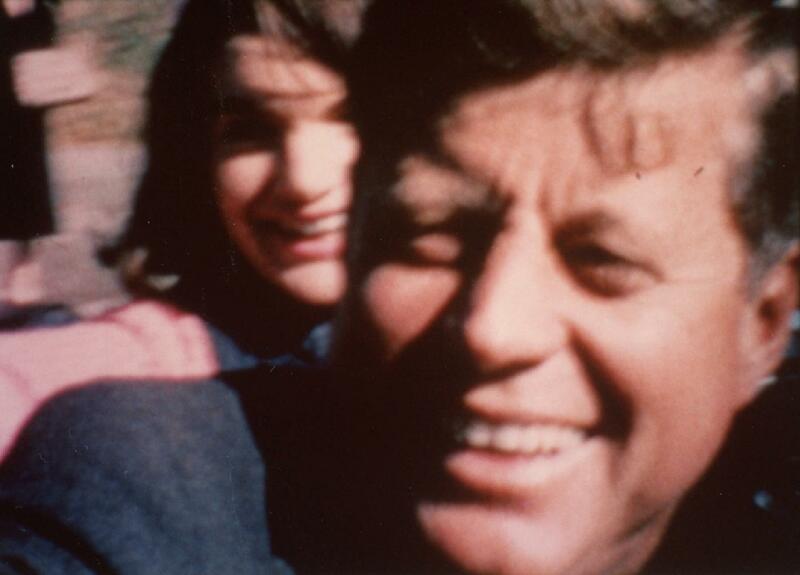 His film can also be used to precisely determine locations, movements speeds, and measurements at specific time stamps (especially when combined with other films and photos), and determine the relative alignments of persons, objects, and landmarks. 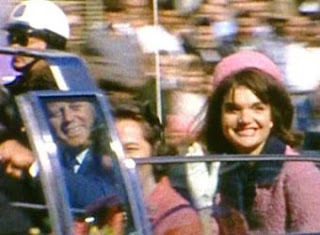 It can also confirm or contradict an individual witness statement, confirm or contradict the group of witnesses statements as a whole, their observations of limousine occupants time stamped actions, persons reactions to possible gun shots, and the exact, multiple instants when Mr. ZAPRUDER’s camera noticeably shook and jiggled during the volley's of the attack shots. . . . . Transparently revealing . . . .
"investigation" was being wrapped-up . . . .
“. . . . Then, I heard another shot or two, I couldn’t say whether it was one or two, and I saw his head practically open up - all blood and everything - and I kept on shooting." 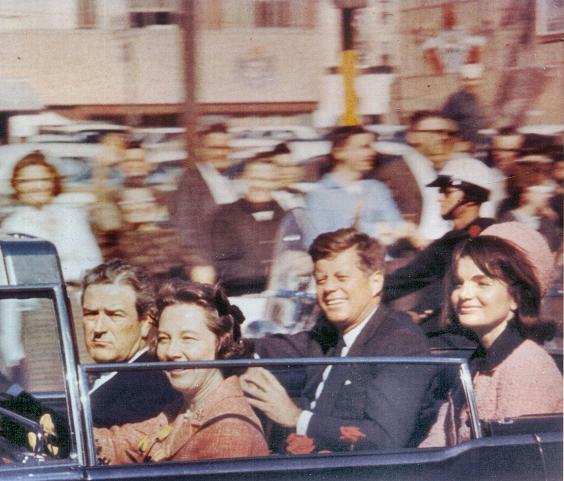 In contrast to President KENNEDY, Mrs. KENNEDY, and JOHN CONNALLY’s abrupt, discontinuous, and rapid reactions that occurred nearly in unison within less than 1-second of each other from Z-155 to Z-169, all of the occupants of Vice President LYNDON JOHNSON’s light silver-blue convertible who time stamped their location when the attack started and they heard the first shot they could hear (and further supported by many additional close witnesses in their follow-up murder-cade vehicles who also time stamped their location when the attack started) have stated that their car had already completed their turn onto Elm Street, and, further detailed that their JOHNSON convertible had already completed straightening out when the first “shot” volley was fired (albeit the first audible muzzle blast, or, the first "silenced" mechanically-suppressed-fired super-sonic bullet bow shock N-wave, or, the first "silenced" mechanically-suppressed-fired sub-sonic bullet that he/she was able to hear, or, that they remembered hearing, or, could hear). 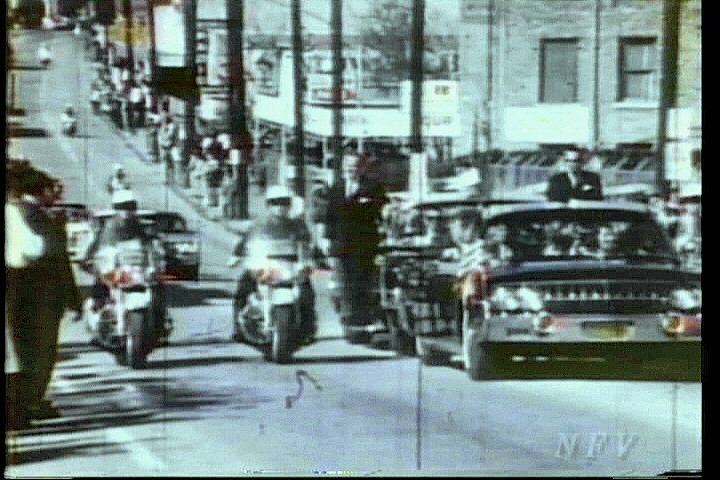 Many witnesses very similarly compared the first “shot” that they remembered hearing (or, could hear) to a vehicle backfire and/or a firecracker, and many witnesses stated that it sounded distinctly different than the follow-up “shots” volley's. 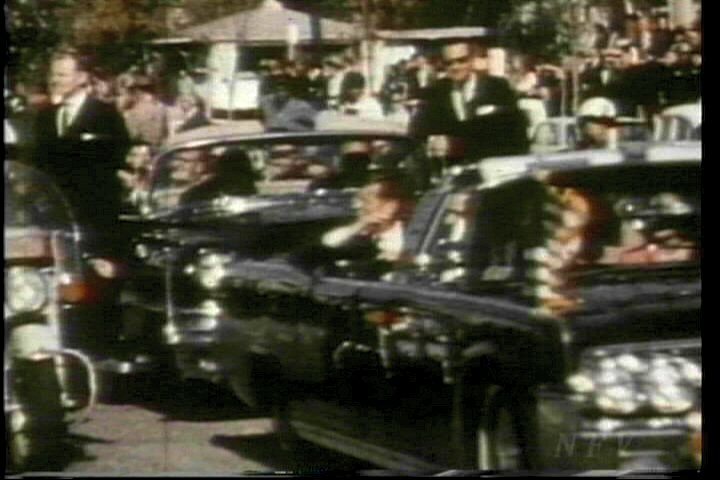 Additionally, the Warren Commission was forced to admit in writing in their report-canard (but its "lone-nut"-apologists are stuck in ever-transparent-denial about) that a distinct and (as the Warren Commission wrote), "substantial majority" of the many then-known witnesses and the many then-known weapons-experienced witnesses who remembered hearing (or could hear), at least, 3 shots also importantly detailed for us that the last two blasts these majority of witnesses remembered hearing (or could hear) were definitely bunched much closer together in time, than the first two blasts they could hear. 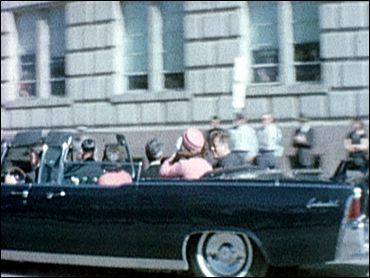 A child’s simple viewing of the ZAPRUDER film clearly documents that between its frames Z-150 and Z-160** ---- the same frames segment that the latest version of warrenatti-apologists, current, shots sequence "theory" hypothesizes that the, supposed, “lone-nut” first shot was fired into the branches and thick foliage leaves of a large, closeby tree, the JOHNSON convertible can, actually, be clearly seen just beginning to start into its left turn from Houston Street, and that was well before the JOHNSON car had ever completed its turn onto Elm Street, and of course, well before JOHNSON's car had even straightened out after that turn. 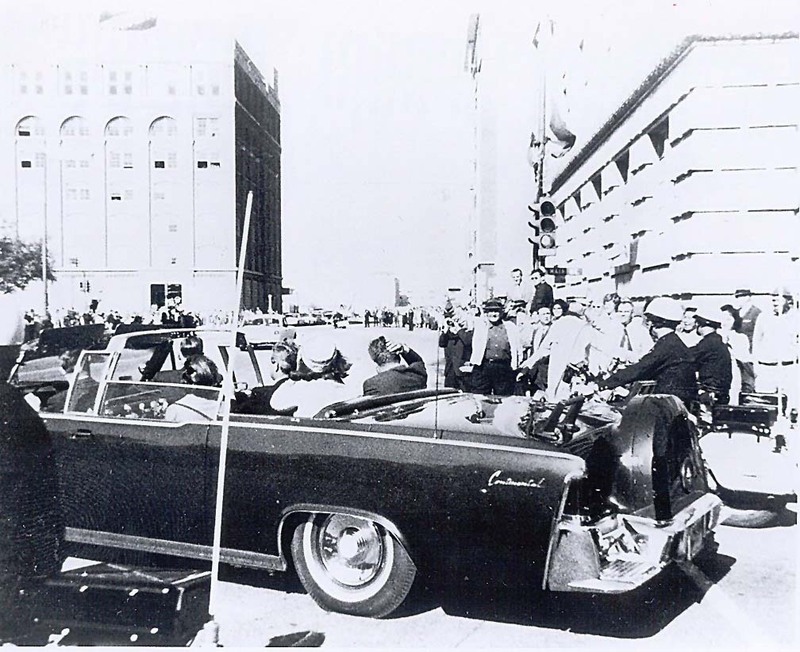 tree did not start to hide JFK from the targeting-view of anyone in the, supposed, "lone-nut" "snipers lair"
(Military veteran, Dealey Plaza witness, and Pulitzer Prize winning Dallas Times Herald photographer, ROBERT HILL W. JACKSON statements in his Warren Commission testimony, volume 2, page 160.
. . . . . . Mr. JACKSON, as have the Warren Commission report-admitted "substantial majority"
" The second and third shots were closer together. " necessarily, ever, heard by other witnesses. When you have a chance, provided in the following solid videos . . . .
. . . . listen to the substantially less decibels-level sound documented in the (non-"Holly-weird") Real World, that are heard at their maximum decibels-level from a much closer couple yards away from the weapon. audible muzzle blast(s) of another assassin's non-"silenced", loud weapon(s). CAROL HEWETT research study, Silencers, Sniper Rifles & the C.I.A. Thank You! What a wealth of research information compiled in one single place.